Always Custom. Always Hand-Forged. Always Stunning. A family-owned business, synonymous with quality for over 30 years. For over thirty years, San Marino Iron has been a name that's been synonymous with meticulous craftsmanship and exceptional quality for all types of custom ornamental iron products. 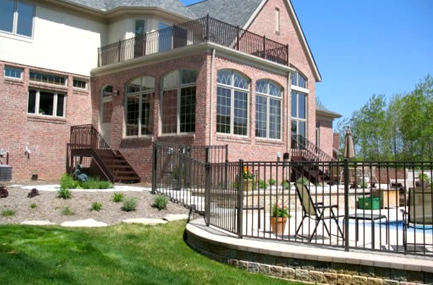 Our family-owned business is proud to call Southeast Michigan our home, and over the past three decades, we've built a reputation with local builders and contractors as the go-to team for any ornamental metal projects. 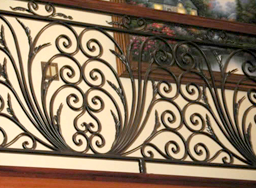 The experienced craftsmen at San Marino Iron can create hand-forged ornamental railings, fencing, gates, spiral staircases, structural-steel decks and specialty items in iron, brass, and stainless steel. For more information about our services, or to request an estimate for your project, contact us today to speak to a member of our team.